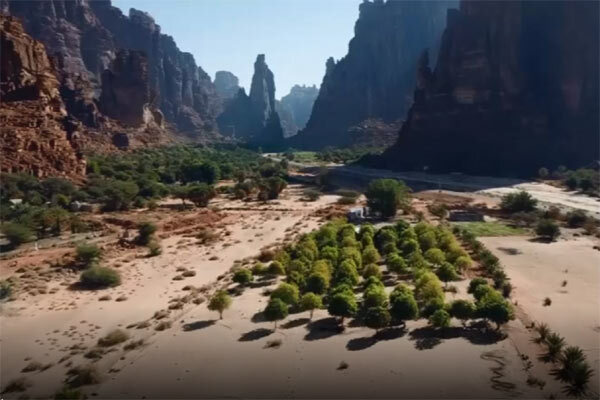 The Saudi Public Investment Fund (PIF) has unveiled its flagship sustainable tourism development project, Wadi Al Disah Development, within the Prince Mohammed bin Salman Natural Reserve, southwest of Tabuk region. Wadi Al Disah (valley of palm trees in Arabic), will be located between Saudi Arabia’s futuristic, Neom city, the Red Sea Development Project Amaala and Al-Ula projects. The site of the future venture is situated 400 m above sea level. It enjoys a moderate climate and is home to distinctive mountainous terrain and flowing springs. To materialize the project, PIF will first establish a new company to be tasked for the development of the project expected to be the kingdom’s most environmentally diverse tourist attractions. The project will contribute to the development of the tourism sector in the kingdom, preserve cultural and environmental heritage, and achieve sustainability in line with Vision 2030, PIF said in a statement. Written by: KanelkaTagba on November 29, 2018. Posted by KanelkaTagba on Nov 29 2018. Filed under Gulf News, Headlines. You can follow any responses to this entry through the RSS 2.0. Both comments and pings are currently closed.